I recently posted about these wonderful natural oil blends on the Nourished Life Facebook page, and was inundated with questions about what they are, what they contain and what they can be used for! I recently sat down with the ECO. AROMA team to answer all your questions- and here they are! Essential oils are so wonderful for clearing the mind, helping us focus, aiding with sleep and even to relieve stress. I love using Why you need to try Little Innoscents Essential Oils! 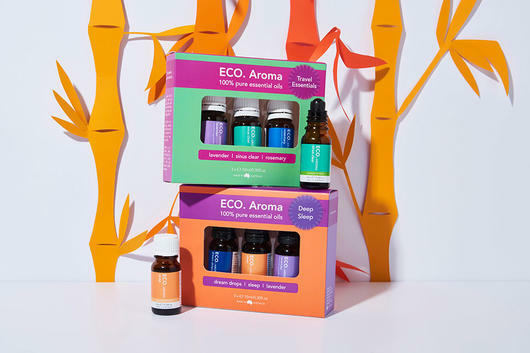 [essential oils] as an alternative to traditional perfumes, which is why I am SO excited to now be selling these ECO.Aroma Pure Blend Oil Rollerballs as the packaging makes them so easy to apply directly to the skin. After a recent Facebook post I was inundated with questions from my fabulous customers, so I thought I'd put together a quick blog post to answer your questions and show you just why I am loving this new product. There's an oil blend for everyone! How have the ingredients been sourced? All ECO. products are made in Australia, however not all ingredients are sourced from Australia. Due to climatic, geographic & season availability reasons, all ingredients may not be obtained in Australia. These essential oils are sourced from countries where the plant material grows best climatically & seasonally and that contain the best active constituents to perform accordingly to the high standards ECO. set. 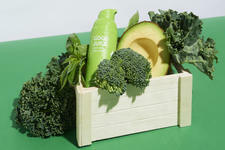 The ingredients are sourced from countries aligned with ECO. 's manufacturing ethical sourcing code compliance & Quality Assurance standards. How are pure oils made? There are three different types of extraction for Essential Oils (Steam, Cold Pressing & Solvent). These differ for each oil. What does 100% pure oils mean, i.e not synthetic, derived only from the plant? Yes, correct – 100% pure means that only the plant extract is used from the named Botanical species. They contain no inputs or other technical additions. What percentage of essential oil is in the bottle? Unless stated with a percentage (i.e. Neroli 3%, Rose 3%) all of ECO. 's essential oils are 100% pure. How do we know precisely what is in the oils? The content of essential oils in the roller balls is reflective in the ingredients listed on the box/label (highest content first to lowest) as well as being reflected in the price point, as to be a safe way to enjoy the benefits of 100% pure essential oils & be able to applied directly to the skin. Are these oils Certified Organic? These oils are not strictly organic, which is reflected in the price point (I actually used to sell 100% organic oils on Nourished Life but nobody bought them due to the price!). These oils are 100% natural and toxin free, however. What is the difference between organic and natural essential oils? Certified organic is grown and processed without the use of synthetic chemicals, fertilisers, or GMOs. Pure Essential Oils are 100% Natural and in most cases these oils comply with International Organic Certifiers however approximately 60% of plant material used to distill essential oils is grown in countries that do not have organic standards or certification. No, most pure essential oils are not food grade as they are pure. Food grade Essential Oils tend to be blended essential oils. Are these oils safe to apply to the skin? Absolutely! The roller balls contain 100% pure essential oils IN carrier oils (such as sweet almond and jojoba) so that the roller balls (and essential oil content) are able to be applied directly to skin. Are the oils scientifically tested? ECO. Modern Essentials' manufacturing is GMP certified as to set high Quality Assurance standards.